MEAN stack is the advent of robust, swift and scalable web applications development technology. It’s a boilerplate of open-source, Java-Script based technologies which consists of MongoDB, Express.js, AngularJS and Node.js. This lightweight and efficient package of web-development platforms offers strong design patterns such as MVC. WMS is an expeditiously growing MEAN stack development company in Pune, India. Let it be an established company of be a start-up, our MEAN stack services are designed to help them leave a mark of excellence in the market. Our development team know every nook and cranny of MEAN stack roadmap and thus, are infinitely capable of developing fast, complex web applications, websites and API’s. So, if you are looking for a company which can transform your website or web-application into an effective, high-performing and dexterous business, we are the people you call. Our commitment to technical and support excellence has made us one of the leading web and mobile application development company. When a client comes to us with a web-application development project, we have a very simple approach and understanding for handling it- It’s gotta be awesome! WMS development team believes firmly that a problem can only be solved through new ideas and that requires innovation. Our MEAN stack web-applications will help you reach your business goals. Design of a web-application poses a huge impact on how people see your business. Our team of MEAN Stack developers are competent at giving your website & web-applications a face that will shine more than everyone. Just like the traits of a person define their personality, the features of a web-application determine its likability. Our outstanding development protocols and committed team of MEAN stack developers personify all the characteristics of a perfect web-application. MEAN stack development offers a consolidated power of four powerful technologies. With MEAN stack development you can modernise your website with dynamic features and offer End to end solutions for businesses to your clients. Now days; Fast development with the MEAN Stack has gaining popularity. The main reason behind the use on MEAN Stack development services is its ease of development and flexibility. 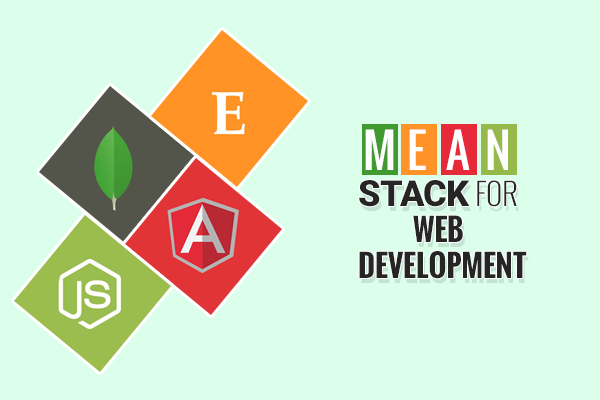 MEAN Stack development is combination of MongoDB, Express Js, Angular Js and Node Js. and leading NoSQL database. It allows developers to quickly change the structure of the data being persisted. It is an open source framework developed and maintained by the Node.js foundation. Angular Js, a client-side framework. MongoDB stores data in a JSON-like format and Angular Js allows the client to seamlessly send and receive JSON documents. It is used to develop I/O intensive web applications like video streaming sites, single-page applications, and other web applications. Node.js is open source, completely free, and used by thousands of developers. Ready to create Mean Stack web platform with WMS? Nobody understands MEAN Stack better than us and no body will be merrier in helping you create awesome applications for your business more than us. So pick up the phone and give a call if you want to harness the power of MEAN Stack Development!